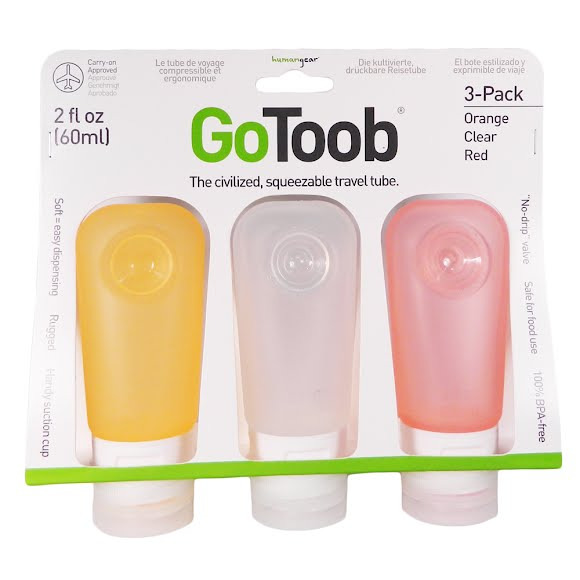 Your perfect travel companion from Lewis N. Clark, the GoToob holds everything from shampoo to special sauce and magic potions! Soft, squeezable and secure when closed! Your perfect travel companion from Lewis N. Clark , the GoToob holds everything from shampoo to special sauce and magic potions! Soft, squeezable and secure when closed!